What Is The Back End? This testimonial has just come in from one of our clients, which we are so thrilled with we just have to share it with you all! Are you interested in increasing your bottom line? Then get in touch to see how we can implement the same marketing strategies that generated nearly $300,000 from one email campaign in a matter of weeks for Pioneer Finance. “Following a business planning meeting in February 2015, we recognized a weakness in our communication with, and offers to, our existing and past clients. We needed to communicate more frequently and efficiently with them, something we had not done effectively in the past. We knew that email was the way to go, but our internal system was designed for record keeping, not marketing. We were wary of using outside help, due to our perception of the cost, and a reluctance to share data with an outside source, and perhaps lose control. A business coach recommended Jamie Houston and Honk Marketing, so we decided to have a chat. One chat with Jamie, and we were hooked. Jamie has so many good ideas, and so much enthusiasm. He listens to us, and more importantly, he teaches us how his system works, we are fully involved, and we retain control. The investment we have made in his services is not prohibitive, with the added revenue having far outweighed the expense. Previously our marketing campaigns to clients were done by post, a very manual operation, we did it all in-house. As the client base grew, it became a big exercise, and we went from doing three campaigns per year to one, due to time constraints. The response was okay at times, and below average on some occasions. 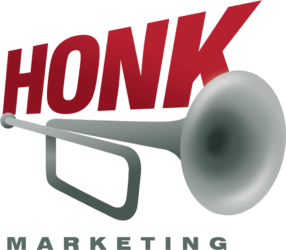 In comparison, between April 2015 and October 2015, Honk Marketing has helped us deliver six campaigns! We estimate that client response has doubled with the campaigns associated with Jamie and Honk Marketing. One small email marketing campaign generated nearly $300,000 in sales in a few short weeks, and we had people responding within minutes of the first email being sent! Just as pleasing is the positive response from the clients themselves. To date, the number of ‘un-subscribers’ has been very low, as have bounce-backs. The offers and the information we are sending (it’s not all about sales!) has been very well received.